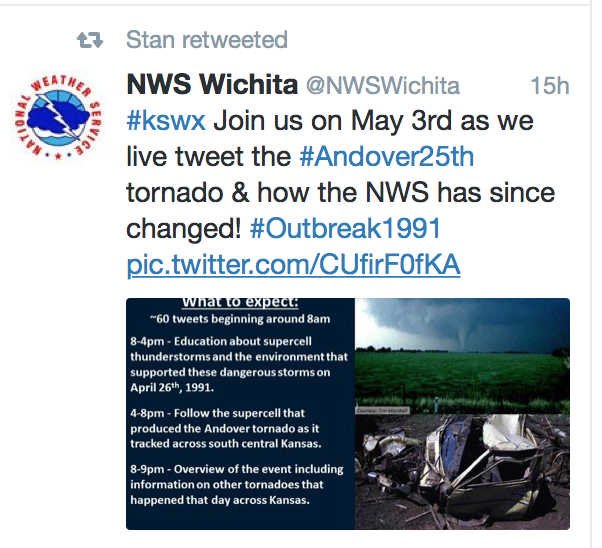 ...this is NOT the commemoration of the Andover tornado from last week that had to be cancelled. The Andover commemoration was cancelled as we felt the moment had passed for it. For those who have emailed me, my script for the Andover commemoration is here. And, since it is May 3, happy birthday to my Dad and to Frankie Valli of the Four Seasons! !